The Z20 is the result of years spent analyzing how helmets fit, optimizing aerodynamics, reviewing test data, gathering real world feedback, and applying Bell’s cumulative knowledge of impact management. Their unique progressive layering energy management system utilizes two separate layers of hard shelled EPS foam in addition to Integrated MIPS—enabling Bell to improve impact performance via multi-density foam and at the same time deliver a more compact overall shape, sleeker design and maximized ventilation. And thanks to a smart combination of the MIPS layer and retention system, the Z20 sets a new standard in fit and comfort. Superb fit is further optimized with the Float Fit Race retention system, featuring height and width adjustable cradles and an intuitive, easy to use tension dial, and then finished off with their comfortable and sweat-wicking X-Static padding. No matter how long, hot or hard the ride is, the Z20's exacting union of comfort and ventilation will deliver. 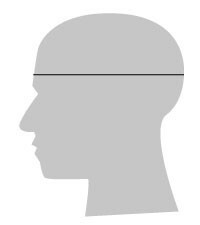 Fits comfortable for a round head shape with good ventilation and no significant hot spots. It's slightly heavier than top of the line helmets from Specialized and POC but still unobtrusive once you put it on. It ventilates very well so you may need a cap in the cooler times. Overall a very nice helmet.